This Saturday morning sees the first ever 5K race run as part of Edinburgh Pride. 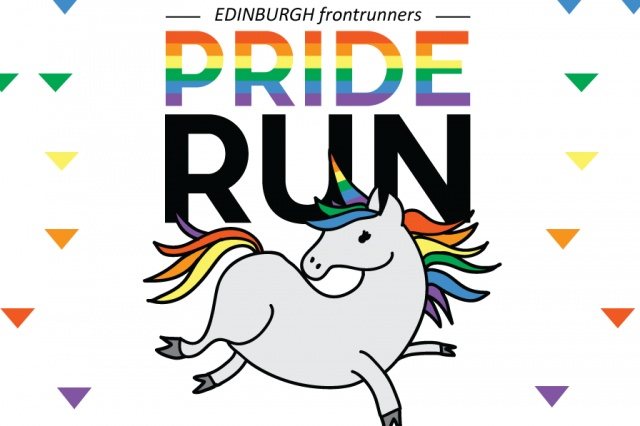 This fabulous event will take place on the Meadows in Edinburgh at 930am this Saturday and is run by the local LGBT running group, Edinburgh Frontrunners. The run is targeted at those who want to celebrate Pride, celebrate identity and celebrate their fabulousness which means you don't need to a runner to take part, everyone is welcome. The run will take place at a time that will allow participants to go and take part in the Pride March afterwards. Fancy dress and rainbows are optional but always encouraged. This will be the first time a run has appeared on the Edinburgh Pride programme of events. You can click here to get signed up! In another first, Edinburgh Frontrunners along with LEAP Sports and Glasgow Frontrunners have been working with Scottish Athletics to ensure that nonbinary participants can declare their entry at sign up, and this run marks the first permitted run in Scottish where this has been explicitly possible. This work will continue to make this a reality for other races. The event is free but the nearby changing facilities at the Commonwealth Pool will cost you £1 to use. A charity bakesale will be held afterwards with all proceeds going to a local LGBT charity. Donations of baked goods are also welcome. Written on 14th June 2017.